With Christmas approaching I've been brainstorming some DIY projects to tackle. 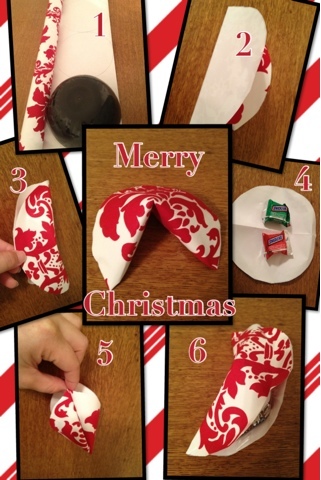 Today, I made some paper Christmas fortune cookies. I had seen this post on Oncewed.com a while back when my friend was getting married as a possible wedding favor DIY idea and thought I'd change it a bit for a fun Christmas DIY project. Add a note or fortune and you've got a fun little Christmas treat!